Shopping for a new Mazda CX-9 for sale near Tarboro? Look no further than our inventory of new CX-9 SUVs for sale here at Medlin Mazda. The new CX-9 interior offers plenty of space for the whole family and for added style and comfort you can choose optional leather seats. This new Mazda SUV doesn’t skimp on safety features either. With available features like a lane departure warning system, Lane-Keep Assist, and Mazda Radar Cruise Control you’ve never been safer on the Greenville roads. Get the safety you need and save at the same time by taking advantage of our new Mazda specials. Browse our inventory of new CX-9 models for sale and discover the perfect one to drive home to Goldsboro. Here at Medlin Mazda, our goal is to make is as easy as possible for you to get behind the wheel of the new Mazda SUV with the features you want at a price you can afford. We offer a wide range of financing options and you can even get a pre-approved car loan in minutes before you even visit our dealership. 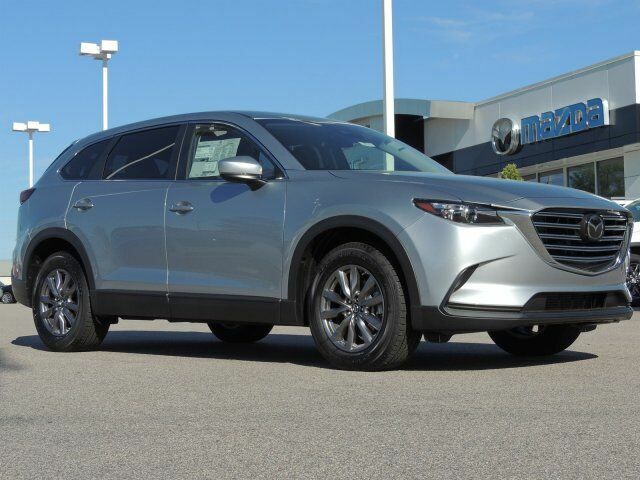 With a large selection of CX-9 models to choose from and competitive Mazda incentives, it’s never been easier to own a brand new Mazda SUV. Once you’ve browsed our inventory of new Mazda CX-9 models in stock and found the perfect one for you, contact us to schedule your visit to our showroom in Wilson near Nashville, NC.